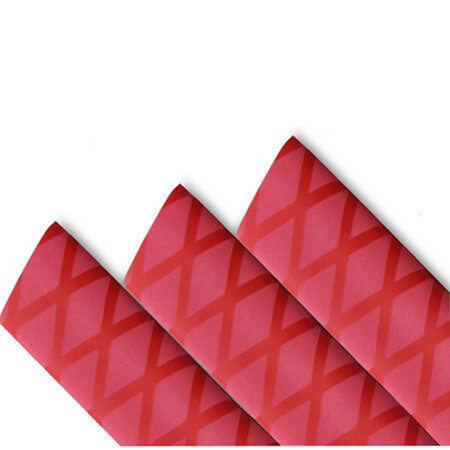 Grip Non-Slip Textured Heat Shrink. Applications such as: Tennis rackets, badminton rackets, fishing rods. Our non slip heat shrinkable tubing is manufactured from a special irradiation cross-linked polymer alloy, followed by a special surface treatment. It provides a durable decorative diamond surface finish with increased friction and anti-slip properties. 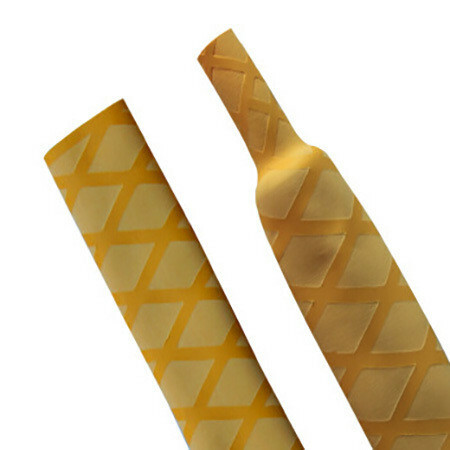 It is also known as skid proof, X wrap, X shrink, diamond weave heat shrink tubing. 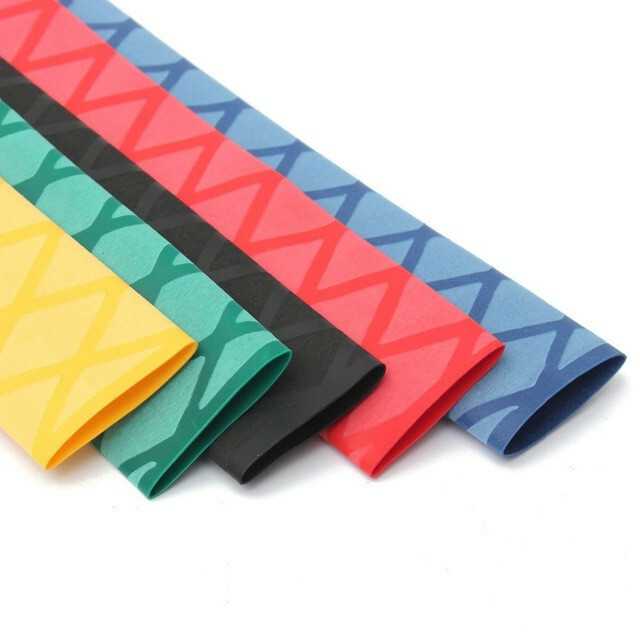 Non slip heat shrink tubing with a special non slip textured finish, this product is designed for use on sports gear, health equipment, hand rails and for various industrial, tool and machinery handles and hand grip applications. Our non slip heat shrinkable tubing is manufactured from a RoHS compliant, irradiation cross-linked polymer alloy, followed by a special surface treatment. It provides a durable decorative diamond surface finish with increased friction and anti-slip (skid proof) properties The 2:1 shrinkage ratio recovers to provide a tight covering over irregular shapes. 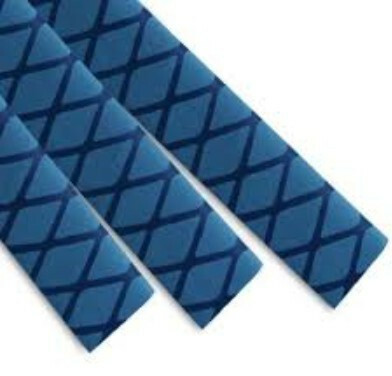 It can easily be cut to length and quickly applied with a hot air gun. Unique surface designed by enviromental friendly PE material for durable abrasion. Economical and install friendly, it's well suited for the DIY market. 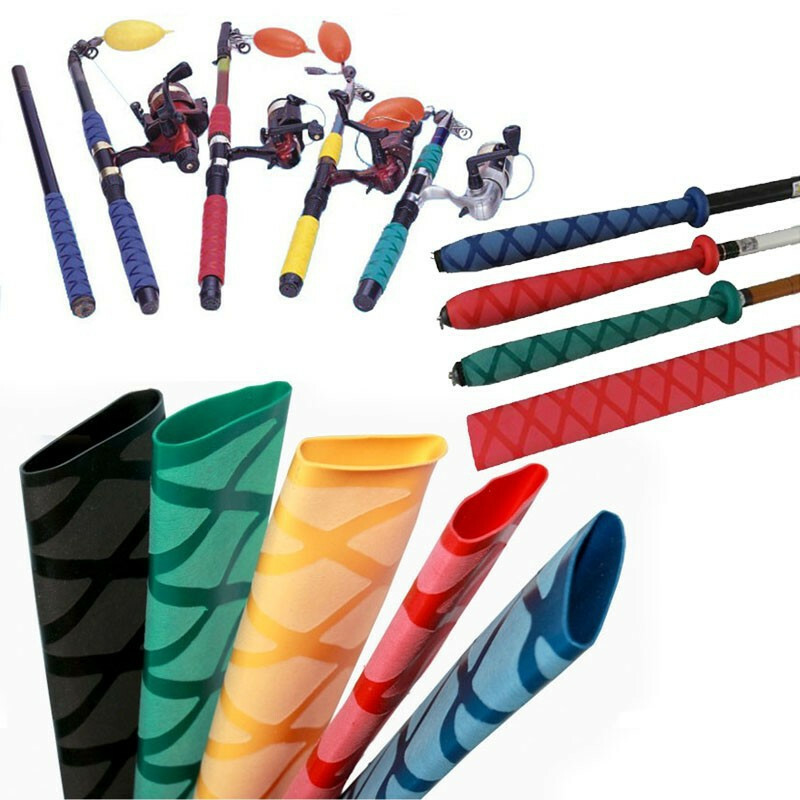 Applications such as: Tennis rackets, badminton rackets, fishing rods, baseball bats, billiard cue, hockey sticks, industrial hand tools, athletic equipment and various handles. Increased friction and safety on smooth surfaces minimizes slipping.